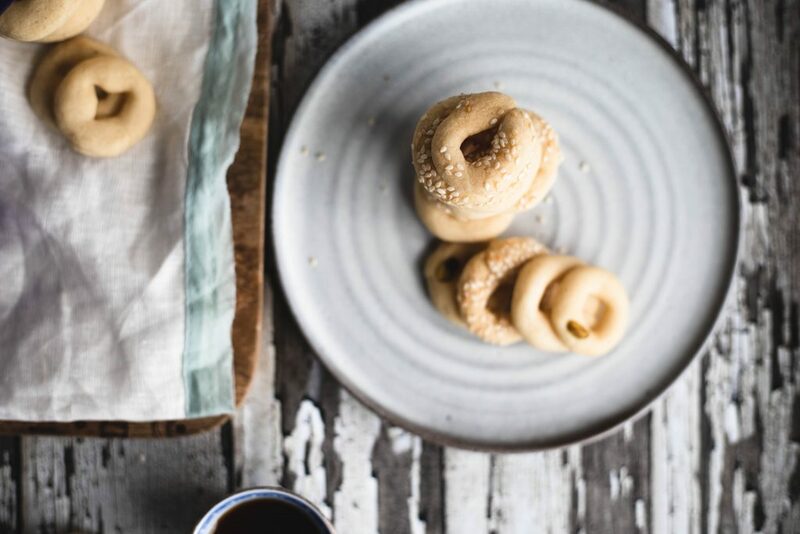 Ka’ak el Eid are simple, ring-shaped cookies that are traditionally associated with Easter. Eid in Arabic translates to “holiday” and during the festive Easter celebrations, many desserts are prepared for Easter Sunday. As Catholic Lebanese, Easter season is celebrated heavily with fasting beginning on Ash Monday and traditionally something given up during the Lenten season. Many folks will give up eating sweets throughout the entire season and wait to feast on Easter Sunday, especially with desserts. I distinctly remember my mom making ka’ak during Easter. The scent would fill the kitchen as tray after tray baked to perfection. The signature taste and smell come from a special spice called, mahlab. Mahlab is a spice that is made from a species of cherries. The seed kernal is actually extracted and ground to a fine powder to make the spice. Mahlab has a slightly nutty flavor but really like no other spice I have ever tasted. Mahlab is readily available in most Middle Eastern stores, specialty spice shops and online . I highly recommend adding it to your cookies to truly experience the delicate flavor. It’s kind of like using saffron in savory dishes, a little bit goes a long way to enhance food to something special and elevated. Make them any size you’d like, the smaller the more delicate the cookie and perfect have a few more. Ka’ak is probably heard in the Arab food community over and over and has many different variations. There are ka’ak that are crispy and more like breadsticks, ka’ak that are shaped like baskets, often used for knafe dessert and sweet ka’ak cookies. This particular version is a slightly sweetened cookie scented with mahlab. 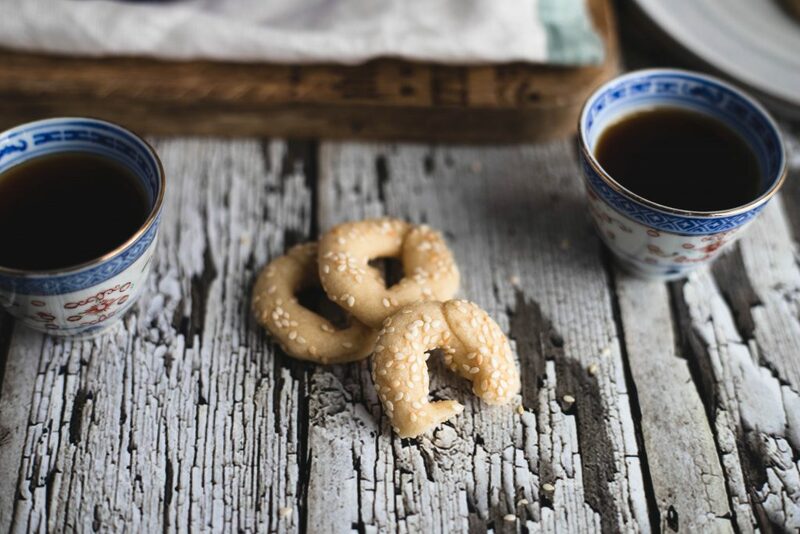 The cookie has a crisp exterior and flaky crumb on the inside and truly perfect for tea or coffee. They can be prepared plain, topped with sesame seeds or some pistachios. Simple ingredients create the base for these cookies and can even be made fully vegan. Ka’ak is one of the many desserts found on a Lebanese dessert table. Some versions include stuffing the cookie with date paste, which make them very similar to ma’amoul. 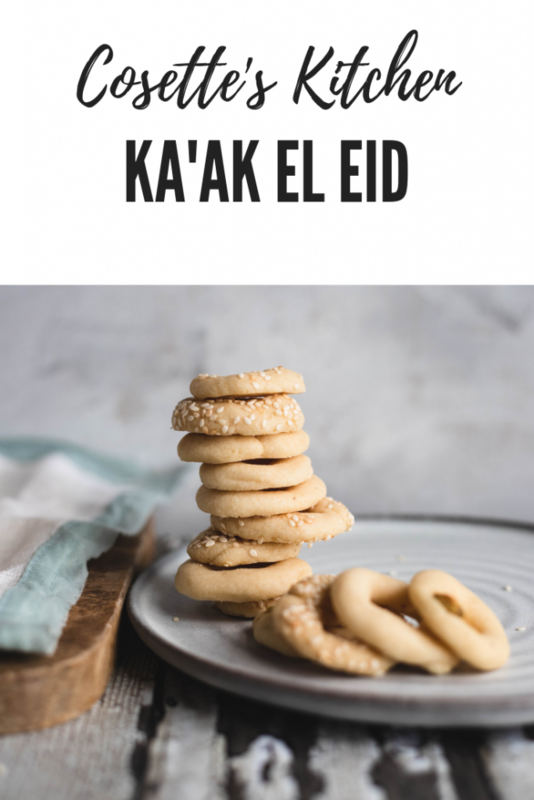 Whether you are preparing these Ka’ak Cookies for an Eid or just a normal day, you will love the subtle flavor and light texture. I hope you give these a try. As always, I love seeing your creations, tag me on Instagram or Facebook!! Don’t forget to Pin the recipe! Flours, Crisco and butters all melted together to create a shaggy dough. Water added to the shaggy mixture to create a cohesive, workable dough. 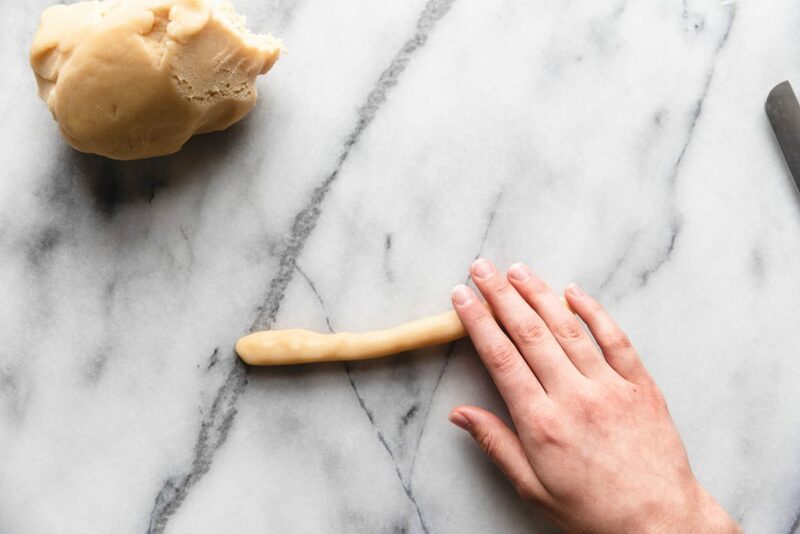 Taking a small piece of dough, roll out into a long rope using your hands. Section rope off into 2″ pieces and form small rings. Dip in sesame seeds or top with a pistachio, or leave plain. Line up on baking sheet to bake. 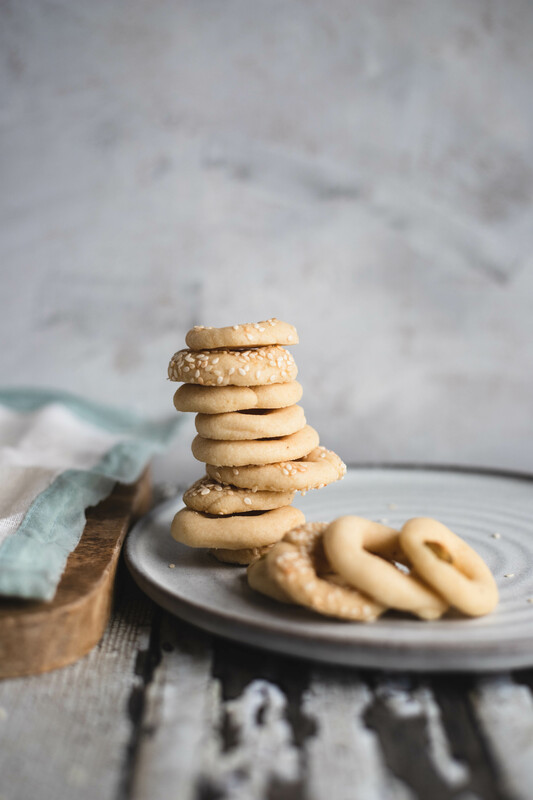 Simple, delicate Lebanese cookie often made during the Easter holiday. Preheat oven to 350 degrees and line 2 cookie sheets with silpat or parchment paper, set aside. In a large bowl combine your flour, semolina, powdered sugar, Crisco and butter. 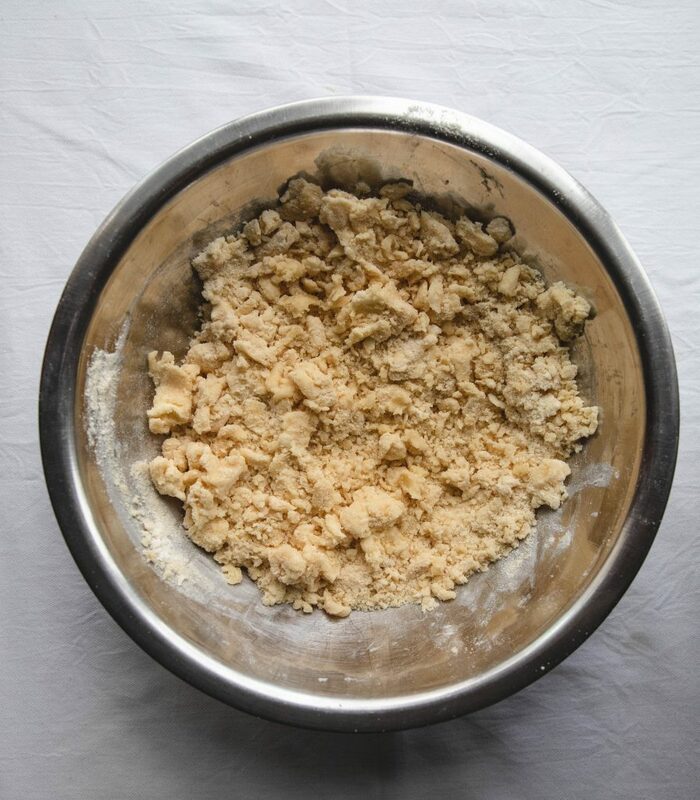 Work the mixture with clean hands breaking up the shortening and butter until blended with the dry ingredients. Once the mixture is coarse and mostly worked together, add in your mahlab and nutmeg and 1/4 cup water. The water will begin to create a cohesive dough. At this time you can begin forming long ropes and cutting into 1.5″ lengths, take each mini-rope and create a ring. 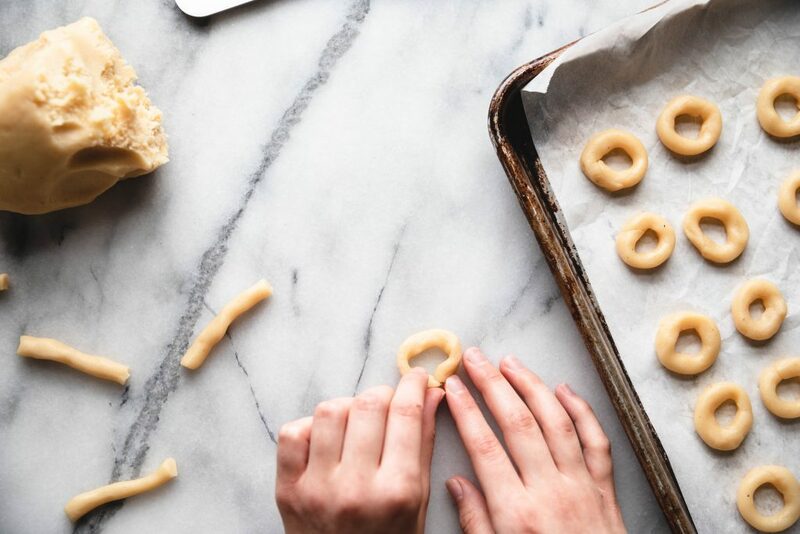 Continue creating rings until you finish the dough. 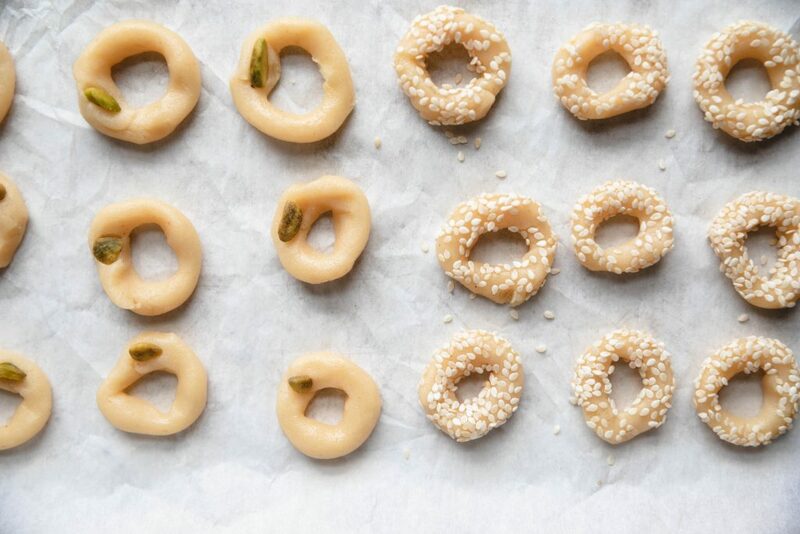 Rings can be dipped in sesame seeds or topped with pistachio nuts or left plain. Bake for 18-20 minutes at 350 degrees on the upper 3rd rack of your oven in prepared cookie sheet. Cookies should be firm and even have a slight reddish color to the tops. Remove and let cool and enjoy! Cookies can be stored in an air tight container for several week or frozen for longer periods. Replace butter with additional shortening to make completely vegan. 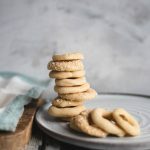 I urge you to use mahlab spice to get the true flavor but you can omit and replace with cardamom or another spice of your liking to create the same style cookie. If your dough is too soft, wrap and place in fridge to firm up. 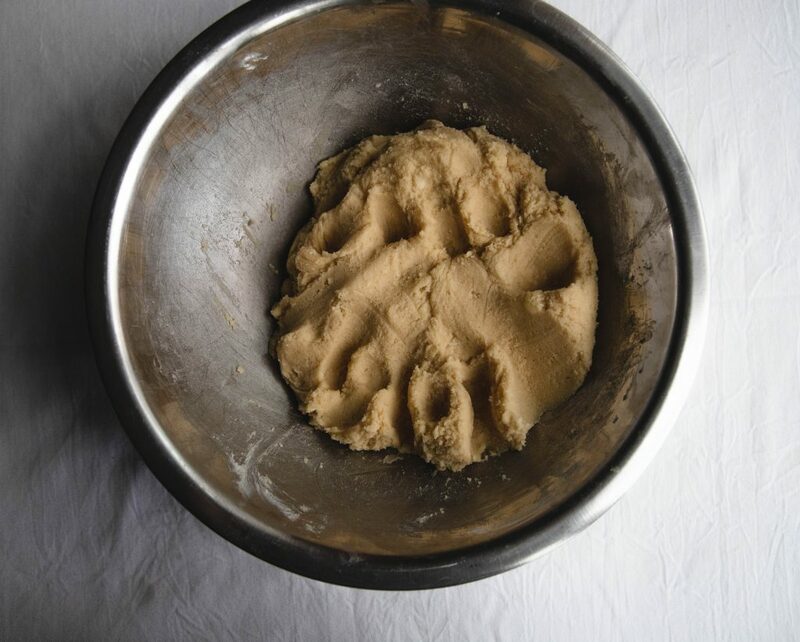 Dough can be stored in fridge if you aren’t able to bake all at once.